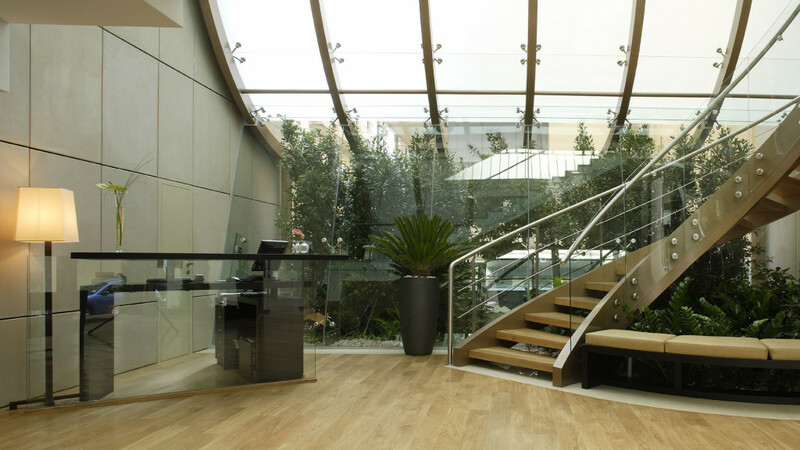 I recently went on a trip to Greece as part of my luxurious travel experiences and I stayed at the Daios Luxury Living Boutique Hotel, right in the center of Thessaloniki and about 12 km away from the international airport. It is one of the best boutique hotels you will find in northern Greece, ideal for both luxury and business travelers. I had a fantastic time at the hotel and sharing my experience is the next best thing to do. 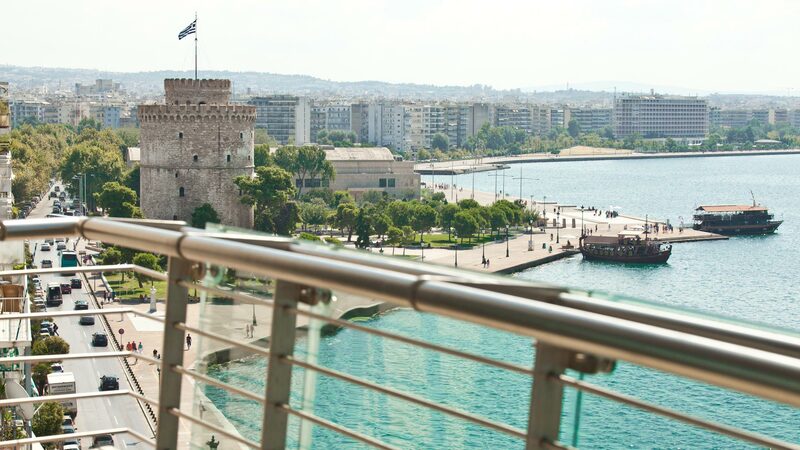 The hotel is located at the seafront and is surrounded by many of Thessaloniki’s points of attraction. On approaching the hotel, I was impressed by its majestic appearance, due to the large glass walls that make it look like a gem. The obviously modern design stood out in Thessaloniki’s landscape and I had to give credit to the architects who designed it, as they could not have picked a more intriguing design. From the first moment I entered the lobby of the hotel, the welcoming atmosphere caught my attention. The lobby was designed and built in a way that gives visitors a hint of the luxury that awaits them- it is subtle sophistication at its best. The bar and the wooden floors, the fireplace with the front made of glass, stainless-steel structures and grey velvet sofas, all contribute to the modern feel of the lobby. The welcoming ambience of the hotel is further accentuated by the plush furnishing and the play of lights on the polished floors. The suites boast of a charming, stylish, well-furnished bedroom and sitting area, while you can actually enjoy the sea view from every part of it. The living room is exquisitely furnished, tastefully decorated, and designed with tones that are meant to make the guest feel welcomed and relaxed, just like at home. 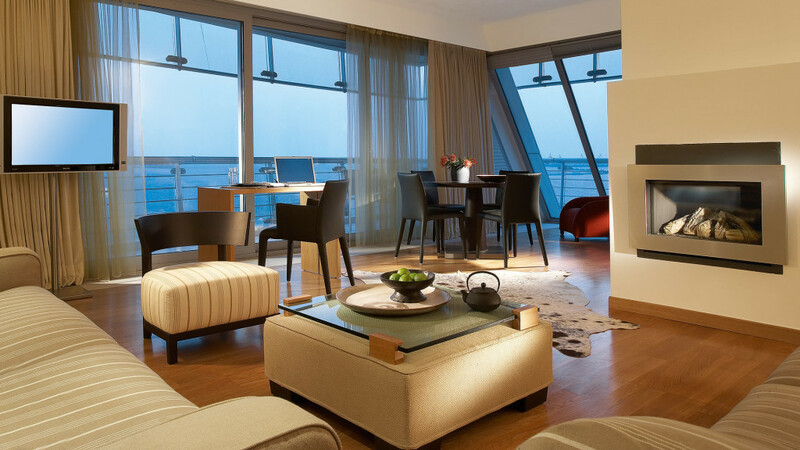 The suites would be great for both the business traveler and the tourist; There is a work table facing the window, which provides a fantastic view of the sea. The room enjoys plenty of natural light, through its generous windows, plus the beautiful works of art that compose its décor gave it an elegant character. The interior design and furnishing are contemporary Italian style and the bathrooms are not left out; the walls are lined with teak wood, polished marble and stone. When the exclusive Apivita and Bulgari Bath amenities are added to the mix, the feel of luxury is complete indeed. I had heard about the hotel’s restaurants and so, I proceeded to have breakfast at the Vitrina Restaurant. I was treated to an amazing American buffet breakfast and I got to savour the exceptional services provided by the restaurant. 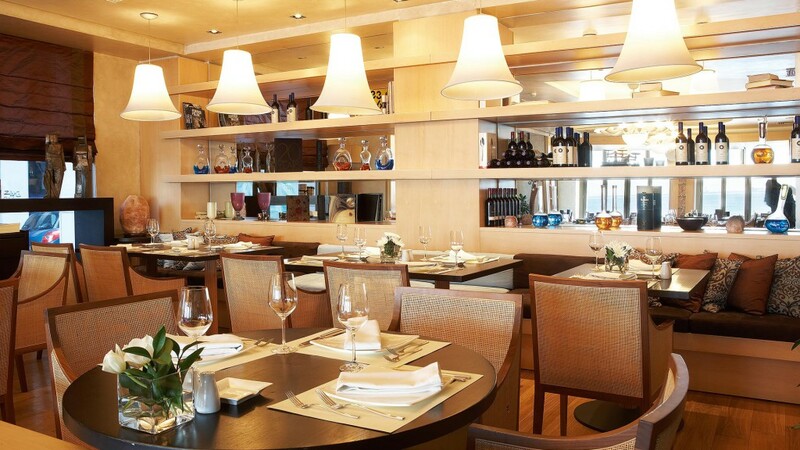 In the evening, I made my way to the Daios Bar Restaurant known for the Mediterranean cuisine and the dishes that are prepared with an extra dose of the chef’s creativity and served with high quality wines that complete the circle of luxury you started out with. The ambience of the restaurant exudes quiet charm and sophistication, and when the sunset reflects on the sea in the evening the view from the restaurant is second to none. 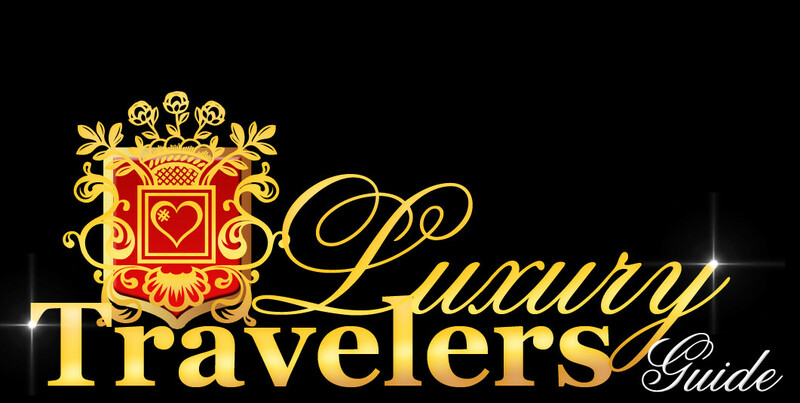 In addition to its very many attributes, the Daios Luxury Living also offers laudable guest services, the staff is discreet, courteous, and always helpful, plus the twice–a-day room service is top-notch. There are several other services available such as a personal chef, helicopter charter, in-house massage treatments, and so on. Some of these additional services come at an extra fee but the experience trumps the cost. I did not get to experience everything the Daios Luxury Living had to offer, but I will definitely be back soon to have the complete package. 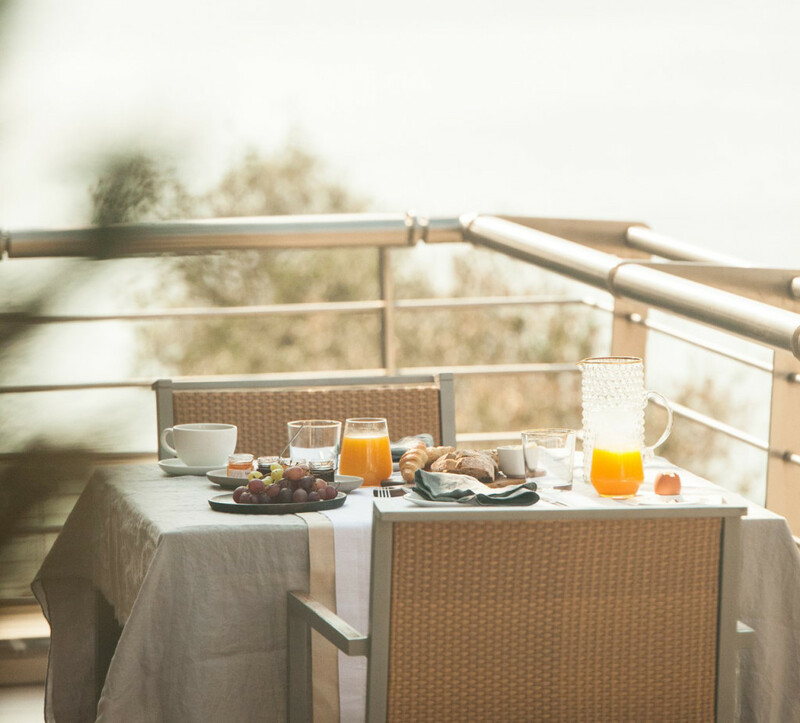 The natural beauty of the Thermaikos gulf creates memories that will not be forgotten anytime soon and the Daios Luxury Living is right there to make it even more so. I had an amazing time at the Daios Luxury Living Boutique Hotel and it is definitely one of the top places on my list for a luxury vacation.